Safety footwear, most commonly safety boots, is a key component of many workwear or PPE requirements. A wide range of jobs will need to protect employees’ feet adequately in order for them to be able to perform their job safely and legally. 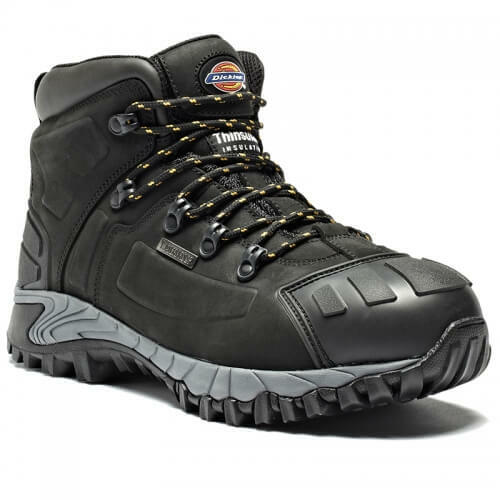 We can supply whatever safety footwear you need, whether you’re looking for ladies’ safety boots, s3 safety boots or men’s site boots. Our partnership with leading PPE companies means we are perfectly placed to provide all the safety footwear your team requires: quickly and for a competitive price. Many jobs that require their employees to wear safety boots as part of their PPE workwear clothing will be based, either totally or in part, outdoors. It’s key then that waterproof site safety boots are used. Let’s face it, in the UK, safety footwear is likely to have to be able to cope with various weather conditions throughout the year, and so waterproof safety boots are really important to make sure that all workers are kept dry and comfortable no matter what the weather is like at any given time. With a wide range of waterproof safety boots, there’s really no reason to compromise. There are many jobs where safety footwear is a must to prevent harm, but the practicalities of wearing heavy safety work boots are not so great. There are many instances where employees must walk a significant distance each day as part of their job, and so lightweight safety footwear is a must to keep them comfortable. Here at Corprotex, we offer a wide variety of lightweight safety footwear and safety trainers to take into account these types of jobs. We recognise that footwear needs to both protect employees from heavy or sharp examples, but also must sometimes be suitable for distance walking. Safety trainers and other lightweight safety footwear are perfect for not putting undue strain on joints and ligaments, which of course should be part and parcel of safety considerations. At Corprotex, we work with a wide range of suppliers of safety footwear and are able to offer whatever you may need: stock supported and with quick delivery. For more information about the safety footwear we’re able to supply, and for any special requirements you may have, please get in touch by calling us on 0161 223 2226, emailing on sales@corprotex.co.uk or by using the enquiry form. We look forward to speaking to you.